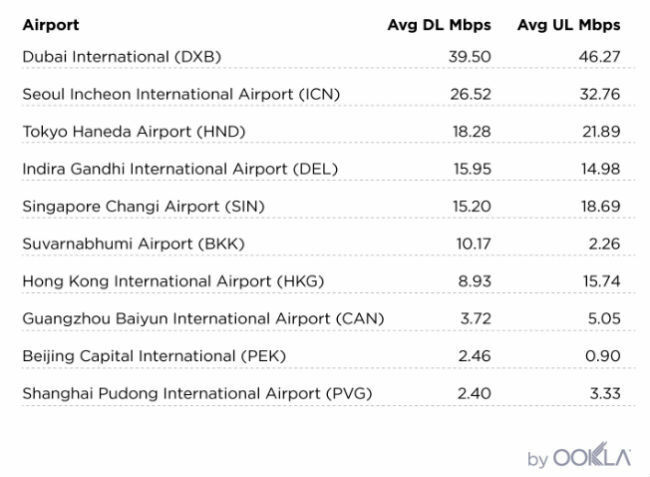 Ookla, the company behind speedtest.net, has released a list of the airports in Asia that offer the fastest Wi-Fi and local cellular speeds. 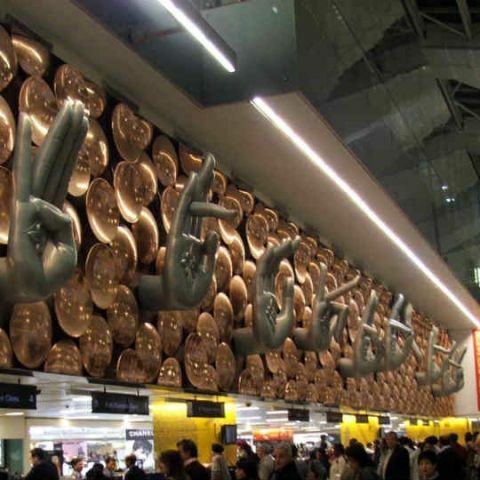 As per its report, Delhi’s Indira Gandhi International Airport offered the fourth fastest Wi-Fi speeds amongst the ten busiest airports in Asia. The airport offered an average download speed of 15.95Mbps and average upload speeds of 14.98Mbps. The report was based on Speedtest data collected between March and May this year. It should be noted that Tata Docomo provides the Wi-Fi services at the Delhi airport. The top spot was taken by Dubai International Airport, with an average download speed of 39.50Mbps, and average upload speed of 46.27Mbps. Dubai was followed by airports in Seoul Incheon International Airport and Tokyo Haneda Airport. The report adds that the average Wi-Fi speeds of a country have nothing to do with with the Wi-Fi speed of the airport. The report notes that even though Singapore offers an average Wi-Fi speed of 111.59Mbps, the average Wi-Fi speed of the Changi Airport is 15.20Mbps, just below India. Speaking of which, India’s average download speed of 12.39Mbps is in line with the speeds offered at Indira Gandhi International Airport. Ookla’s report also checks speeds on cell networks as certain countries like India and China do not allow travellers to connect to airport Wi-Fi without an in-country mobile number. In this, the Indira Gandhi International Airport dropped down to the tenth sport with an average download speed of 5.85Mbps. However, the report notes that this speed is only slightly slower than the country’s average mobile download speed of 7.62Mbps. Whic is the best wi-fi router in range 1K to 2K ?